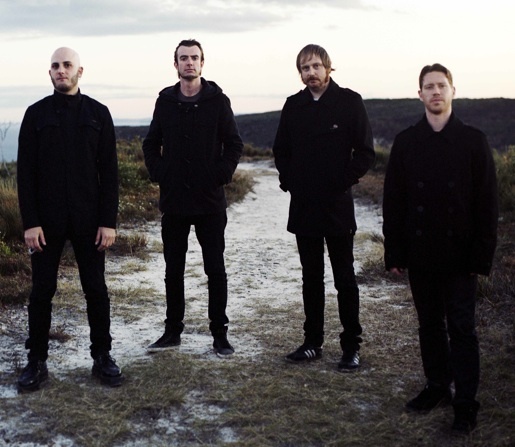 Birds Of Tokyo have earned themselves the reputation of being one of Australia’s best live acts, so they are pleased to announce they’re getting back on the road…with a twist. Two years in the making; the Broken Strings Tour will not only see Birds Of Tokyo in full acoustic mode, but the band will also be accompanied by a grand pianist and string quartet. Delicately and painstakingly, the band have reinterpreted their own music – arranging it for the Broken Strings Tour format – and have worked closely with renowned producer, composer and long-time collaborator, Anthony Cormican, who has scored the entire concert specifically for an orchestral arrangement. Hosted in seated theatres Australia-wide, the Broken Strings Tour is an entirely new way to experience Birds Of Tokyo in concert. Joined on stage by their ever-faithful multi-instrumentalist Glenn Sarangapany; the idea for the Broken Strings Tour first came up after Birds Of Tokyo had completed their Wayside tour, the band set about devising a new concert format in order to get back out on the road. Two sold-out acoustic shows at Fremantle’s Fly By Night Musicians Club ensued, and it became obvious to the band that the extra textures brought to the band by Sarangapany were just the beginning of something grand. From there, the ideas rapidly snowballed. Joined on the road by Augie March’s inimitable frontman Glenn Richards (who will be performing solo), Birds Of Tokyo will not only be recording all of the Broken Strings Tour shows for a 2010 live release, but will also be filming the tour for a DVD release. Intimate and unforgettable; the Broken Strings Tour is Birds Of Tokyo like you’ve never seen them before. All shows are open to all ages. Reserved seating / limited tickets available. The ‘Birds camp are stoked to be hitting the road again at the end of this month. Not only are they gracing the stage at the AMAZING ‘Splendour In The Grass Festival’ in Byron Bay alongside Janes Addiction, Bloc Party, MGMT, Grinspoon and a bunch more great bands, the guys get to tour some towns in NSW and QLD they have NEVER, EVER been to including Hornsby, Bathurst, Penrith, Bundaberg, Rockhampton, Airlie Beach, Mackay, Townsville and Cairns. On another note, NUMBERS RADIO (yep those cats with that killer “Boring” song all over triple j) are joining Birds on this tour. Also announced are the opening bands from the towns we’re hitting, all details are listed in the TOUR page. Entering its 31st year, Stonefest returns in 2009 with a line-up chocked full of homegrown goodness. Arguably the longest running festival in Australia’s history, Stonefest continues to be one of the most highly anticipated events to take place in our nation’s capital each year. Stonefest 2009 will see all the action happening across one day, with promoters promising “twelve hours of music that will rock you to the very depths of your soul”. 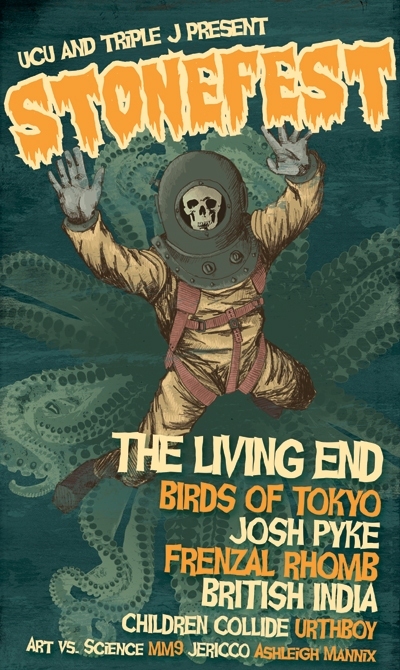 Heading up this day of Canberra soul-rocking (which will quite suitably be taking place on Halloween this year) are three of the largest names in Aussie music: The Living End, Birds Of Tokyo, Josh Pyke, Children Collide and more.